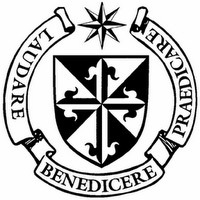 Dear Friends, as a mendicant (begging) friar of the Order of Preachers, who has taken a vow of poverty, I am required by my Order and Province to appeal to the people of God regularly for donations, especially friends, family and the beneficiaries of my priestly ministry. For this reason, I am establishing an annual appeal during Lent for people to offer a single donation each year. 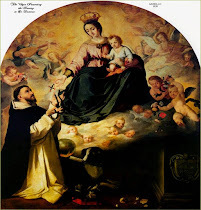 These donations will help my Dominican Priory, St. Anthony’s, in New Orleans, including my itinerant ministry, “Preach My Psalter” Dominican Rosary Apostolate. St. Anthony Priory is the poorest Dominican priory in New Orleans and the Southern United States. As a result, the priory cannot pay me a salary for my itinerant ministry. In offering parishes missions, retreats and days of prayer and contemplation, I do receive a donation from groups or parishes on such occasions, but certainly not enough to support my ministry, much less my priory. This will help pay for my ministry-related costs as needed, such as gas, meals, airfare, hotels and educational resources. This is all for the preaching of the Truth of God's Word for the salvation of all people. I hope and pray you will consider helping me and my priory during this Lent. This particular appeal for alms is only for Lent. This would be a single Lenten donation. The amount I hope to raise is $4,800, which would mean the priory would have $400 per month to help pay for such costs. I really appreciate you considering in prayer this appeal for alms during the season of Lent. Payable to: Dominican Fathers of St. Anthony Priory. Memo: Preach My Psalter Lenten Appeal. Dear brothers and sisters in Christ, in September I will begin offering to God the Traditional Dominican Penance, called the “Long Lent” or “Great Monastic Fast” for the repentance of priests and bishops guilty of child abuse, for the reparation of their sins against God and His children, including their immoral handling of such cases, and for the healing of all people who have suffered from this abuse, including their family and friends, and all people. God desires faithful bishops and priests in His Church. He desires all shepherds to be faithful in preaching, teaching and living the Truth and Love of Christ for the salvation of all people. I hope and pray that others will join me in offering this penance that God’s Church may be fully purified, healed and sanctified through God’s grace. Would you please consider joining me? This penance will be offered daily (except Sundays and Solemnities) from the Feast of the Exaltation of the Holy Cross (Friday, September 14th) until the Easter Vigil (Saturday, April 20th), including all Fridays throughout the year. May all Catholics, all people, open their hearts to enter the Passion of Christ sacrificially through penance for repentance, reparation and healing in the Church. For myself, this penance during the “Long Lent” will first involve fasting by eating only 1 full meal per day, normally dinner, and 1 small meal either in the morning or the afternoon, and bread and water for the other meal. This also includes abstinence from all meat on Fridays during the “Long Lent” and throughout the year. This is a choice I have made for myself. As for yourself, before you decide to do this penance, remember that your age, health or dietary needs may prevent you from participating. For this reason, please be prudent in determining this for yourself. This penance is not for everyone. On the other hand, if you decide that you can participate, please use these canonical norms for Lent in the Latin Church (including any norms that your ordinary may establish in your diocese) as guidance for fasting during the "Great Monastic Fast" or "Long Lent." First of all, on Ash Wednesday, the beginning of Lent, and Good Friday, the Roman Church requires Catholics to fast and abstain from meat. Moreover, all Fridays during Lent are days of fasting and abstinence from meat. All members of the Latin Catholic Church, ages 18 to 59, are required to fast. This means only eating 1 full meal per day, and 2 smaller meals that together do not equal a full meal. The norms concerning abstinence from meat are required of all members of the Latin Church from age 14. Finally, all Fridays throughout the year are days of penance for Catholics (see Canons 1249-1253). Futhermore, prayer cannot be separated from fasting, as Jesus teaches in the Gospel. On the contrary, fasting prepares a person to offer a greater act of faith, hope and love to God in prayer. As such, I have decided to offer a fourth Rosary daily for repentance, reparation and healing in the Church. I will also be offering a Mass every Friday for this intention. I hope and pray that many people will consider joining me in offering this penance by practicing the "Long Lent" through fasting and prayer. This will be an annual penance for repentance, reparation and healing in the Church. I have never abused a child in my life or in my vocation as a priest nor will I ever, but inasmuch as I am a sinner, I certainly have abused Christ and His Church spiritually and morally at times through my thoughts, words, actions and omissions. 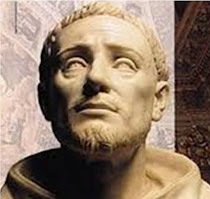 Consequently, I accuse myself in God's presence, in the presence of Blessed Mary, St. Dominic and all God's people of having sinned or failed at times in my life and vocation as a shepherd of the Church. On this basis, in offering to God this Long Lent of fasting and prayer, I also include myself as someone in need of repentance, reparation and healing. May God help me and all priests become holy shepherds of God's people. If you are interested in joining me in this ministry, please email or message me. ℣. Hail Mary, full of grace, the Lord is with thee. ℟. Blessed art thou amongst women, and blessed is the fruit of thy womb, Jesus. ℣. O Lord, † open my lips. ℟. Any my mouth shall declare Thy praise. ℣. O God, † come to my assistance. ℣. Glory to the Father, and to the Son, and to the Holy Spirit. ℣. Our Father, who art in heaven, hallowed be thy name. Thy kingdom come, they will be done on earth as it is in heaven. ℟. Give us this day our daily bread and forgive us our trespasses as we forgive those who trespass against us. And lead us not into temptation, but deliver us from evil. Amen. ℣. Hail Mary, full of grace. The Lord is with thee. 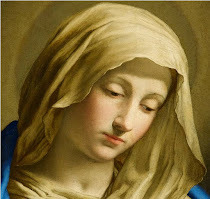 Blessed art thou amongst women and blessed is the fruit of thy womb, Jesus. ℟. Holy Mary, mother of God, pray for us sinners now and at the hour of our death. Amen. ℣. Glory to the Father and to the Son and to the Holy Spirit. ℟. As it was in the beginning, is now, and will be forever. Amen. Hail Holy Queen, Mother of Mercy, our life, our sweetness, and our hope. To thee do we cry, poor banished children of Eve. To thee do we send up our sighs, mourning, and weeping in this valley of tears. Turn, then, most gracious Advocate, thine eyes of mercy toward us, and, after this our exile, show unto us thy blessed fruit of thy womb, Jesus. O clement, O loving, O sweet Virgin Mary! ℣. Queen of the Most Holy Rosary, pray for us. ℟. O God, whose only-begotten Son, by His life, death and resurrection has purchased for us the rewards of eternal life, grant, we beseech thee, that meditating upon these mysteries of the Most Holy Rosary of the Blessed Virgin Mary, we may imitate what they contain and obtain what they promise. Through the same Christ our Lord. Amen. ℣. May the divine assistance remain always with us. ℣. May the souls of the faithful departed, through the mercy of God, rest in peace. ℣. May the blessing † of Almighty God, the Father, and the Son, and the Holy Spirit, descend upon us and remain with us always. Greetings, dear friends! 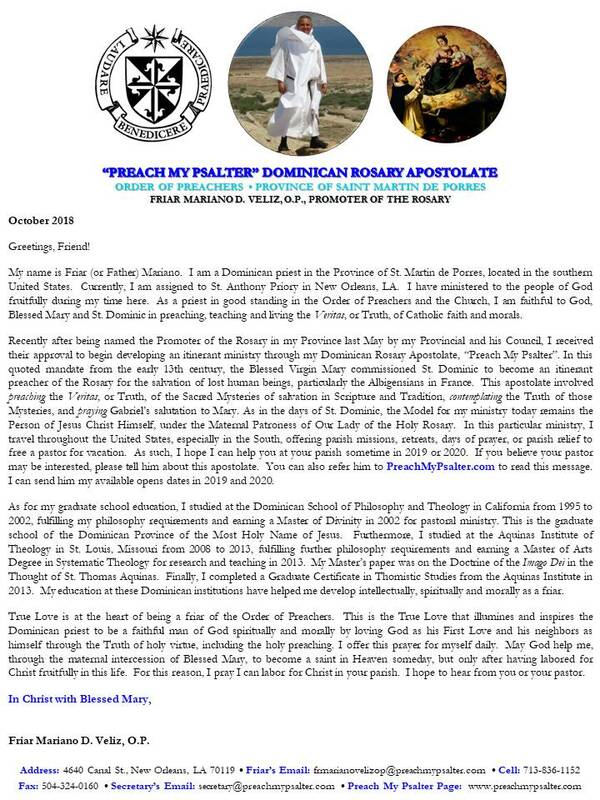 Welcome to the page of the Confraternity of the Rosary of the Order of Preachers in the Dominican Province of St. Martin de Porres. Our Province is geographically located in the Southern United States. This provincial area includes Texas, Oklahoma, Arkansas, Louisiana, Mississippi, Tennessee, Alabama, Florida, Georgia, South Carolina and North Carolina. If you live in any of these southern states, you are welcome to consider becoming a member of the Confraternity of the Rosary through this page. The Confraternity is an ancient apostolate of the Order of Preachers that has led countless people to repentance and maturation in Christ for centuries through the maternal intercession of His Blessed Mother, Our Lady of the Rosary. Membership in the Confraternity of the Rosary requires registration. You become a member by registering in the Confraternity online. You will then be officially enrolled in the register of the Rosary Confraternity. There are no meetings or membership dues. As a member of the Confraternity, you are commissioned to offer at least Fifteen Mysteries of the Rosary every week. You may offer these Fifteen Mysteries of the Rosary all together or separately in three groups of Five Mysteries. You are also free to offer more Mysteries daily as the Holy Spirit moves you through the maternal intercession of Blessed Mary, Our Lady of the Rosary. In doing so, you promise to pray for all the members of the Confraternity every time you offer a Rosary to Our Lady. This is your only requirement as a member of the Confraternity, but the hope and prayer is that you will fulfill this requirement because of your faithful love for the Blessed Mother who directs all her children to her Son, Jesus Christ, through the Rosary. In this act of love for her in the Rosary, you faithfully honor her as your Mother who became the Mother of God that she would become your Mother, the Mother of God's people. At the same time, this commission to pray at least 15 Mysteries of the Rosary for all the members of the Confraternity does not bind under sin. According to Tradition, after Blessed Mary, Our Lady of the Rosary, commissioned St. Dominic to propagate her Psalter, her Holy Rosary, in the 12th Century, she revealed 15 Promises to him and later to Blessed Alan de la Roche in the 15th Century that would be fulfilled for them, and all other Catholics, who faithfully practiced the Rosary. 2. I promise my special protection and the greatest graces to all people who recite the Rosary. 14. All who recite the Rosary are my children, and brothers and sisters of my Son Jesus Christ. 1. As a member, you are the beneficiary of the prayers of all the members of the Confraternity of the Rosary, even after death. 2. You also receive the fruits of the prayers, Masses and apostolic ministries of the Order of Preachers. 3. Moreover, various plenary and partial indulgences are made available to you. On the one hand, you receive a plenary indulgence under the usual conditions on the day of your enrollment (as indicated in the register and certificate), on the Feast Days of Christmas, Easter, the Annunciation, the Assumption, Our Lady of the Rosary, the Immaculate Conception, and Our Lord’s Presentation in the Temple. On the other hand, you also receive a plenary indulgence under the usual conditions by praying the Rosary in a Church or oratory, in a family, religious community, or in a pious association of the faithful. If not, the indulgence is only partial. Concerning Indulgences: An indulgence is the remission of the temporal punishment due for sin whose guilt has already been forgiven. It is a partial indulgence if it frees you partially from the temporal punishment due for your sin, and plenary if it frees you completely. Both partial and plenary indulgences can be applied to the dead, but only by means of suffrage. Furthermore, you can only gain a plenary indulgence once a day, unless your are near death. Finally, these are the conditions that you are required to fulfill for receiving an indulgence: Sacrament of Confession, Holy Communion, prayer for the intention of the Pope, and freedom from all sin, even venial. If you are not detached from such sin, or if you have not fulfilled any of the other conditions, your indulgence is partial. If you are a Catholic in the Southern United States who is fully prepared and ready to enroll in the Confraternity of the Rosary after reading this page about the requirements, promises and benefits of the Confraternity membership, please visit the sign-up page here: http://www.jotform.us/form. You may only enroll yourself, not your family members or friends, or the deceased. After your enrollment form is processed and your name is enrolled in the register, you will be mailed a hard copy of the certificate of your Confraternity membership. Greetings, dear Brothers and Sisters in Christ, children of Our Lady of the Rosary! 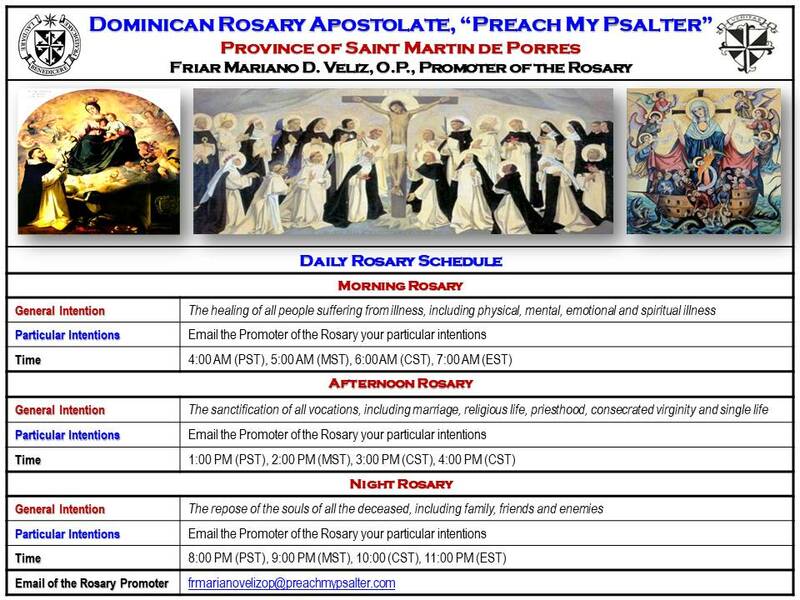 I am posting this message to invite you to participate in the Dominican Rosary Apostolate, Preach My Psalter. Please consider joining me in offering at least one Rosary daily to build up the Body of Christ, the Church, through the maternal intercession of Blessed Mary, Our Lady of the Rosary. Here is my daily Rosary schedule. I pray these Rosaries in New Orleans, LA @ 6:00 AM, 3;00 PM and 10:00 PM CST. I have also listed the times for other geographic areas of the United States. This will help people join together in prayer. I have a General Intention for each Rosary, but you may email me your Particular Intentions for each Rosary. In fact, I have already been receiving many emails from people. I anticipate that the number of these emails will only increase. For this reason, I have some instructions for you that will help me manage this Dominican Rosary Apostolate efficiently. First of all, when you email your intentions to me, please put in the SUBJECT field of your email message the Particular Rosary (Morning, Afternoon, or Night), the DAY and DATE. For instance, for each Rosary the Subject field would read as follows: "Morning Rosary for Wednesday, July 4th"; or "Afternoon Rosary for Thursday, July 5th"; or "Night Rosary for Friday, July 6th". Secondly, be certain your Particular Intentions for each Rosary conform to the General Intentions. This is what I mean. MORNING ROSARY: The General Intention of the Morning Rosary is for the Healing of all People. As such, your Particular Intentions for this Rosary should be for the healing of someone who is ill. AFTERNOON ROSARY: The General Intention for the Afternoon Rosary is for the Sanctification of all Vocations. For this reason, your Particular Intentions for this Rosary should be for the sanctification of particular people in their vocations. NIGHT ROSARY: The General Intention for the Night Rosary is for the Repose of all the Deceased. Accordingly, your Particular Intentions for this Rosary should be for particular people who have died, such as your parents or grandparents. Finally, please send your Particular Intentions to me at least 2 or 3 hours beforehand via email, so I have sufficient time to read them. I certainly cannot respond to them all, but I will respond to some. I appreciate you understanding. Please share this flyer via social media and email. Thanks!